Playhaus Design Competition is Coming Soon! 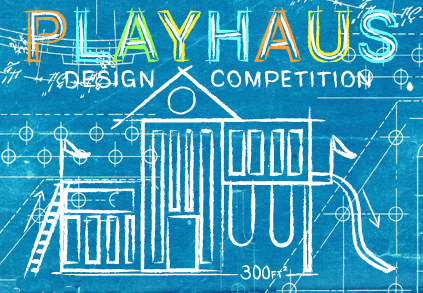 We're getting our hands dirty and joining James Hardie in the sandbox for our upcoming design competition, Playhaus. Your mission—should you choose to accept the challenge—is to wow us with fantastical funhouses for mini design enthusiasts in the making. Warning, we're not looking for your typical pastel palaces, pirate ships, and dollhouses. Instead, we want ideas that are daring, decadent, and chic—playhouses that aren't meant to catch dust in the back yard, but are dazzling designs worthy of display out front. The kind of structures sure to slow passersby, and be the envy of fun-loving kids and sophisticated parents alike. The only caveat is keep it under 300 square feet and incorporate James Hardie sidings and trim. Otherwise, whether you're inspired by Bauhaus or by Versailles, we want to you to go wild and channel your inner child.